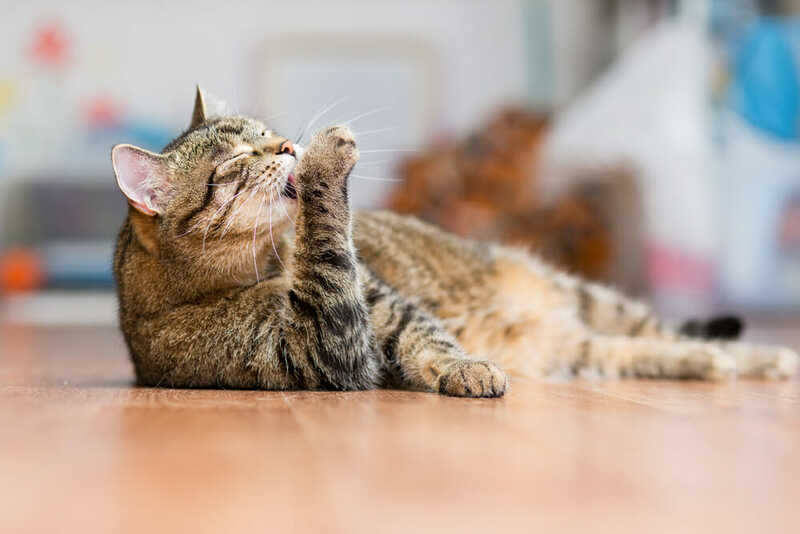 Neutering your cat can help prevent unwanted behaviours such as spraying around the house which is one way of marking his territory. Spaying your cat will prevent several unwanted issues. The first is unwanted pregnancies. The second main reason eliminates the chance of your cat developing infections in their uterus called pyometra which can be fatal. Spaying your cat also reduces the risk of her getting mammary cancer as well as ovarian and uterine cancer. Spaying is the surgical removal of the cat’s ovaries and uterus to sterilize the cat. Neutering is the surgical removal of the cat’s testicles to sterilize the cat. We recommend neutering and or spaying your cat at around 6 months of age. The procedure of a cat spay starts by the technicians getting blood to run bloodwork to make sure your cat can go under general anesthetic. Once we have the results of the bloodwork and everything is normal, we give then give some sedation before putting in an intravenous catheter (IV). Once the catheter is in, we hook them up into intravenous fluids and provide them with an induction agent before placing an endotracheal tube (ET tube) and putting them under general anesthetic. Once they are under general anesthetic, we shave their stomach for surgery. During the operation, the vet removes the whole reproductive tract of the cat. Once the surgery is complete, the recovery time is usually within very few hours and healing completely in typically 10-14 days. The procedure of cat neuter is a bit different when compared to a cat spay. We start by taking blood to run blood work the same as the cat spay. If the blood work is all normal, we give the male cats an injection to induce deep sedation and then an IV catheter is placed. A general anesthetic is not needed for cat neuter. The vet makes an incision into the cat’s scrotum after a local anesthetic has been placed into each testicle and each testicle is removed. The procedure itself is quite short. The healing time for neutering is approximately 10 days or so.